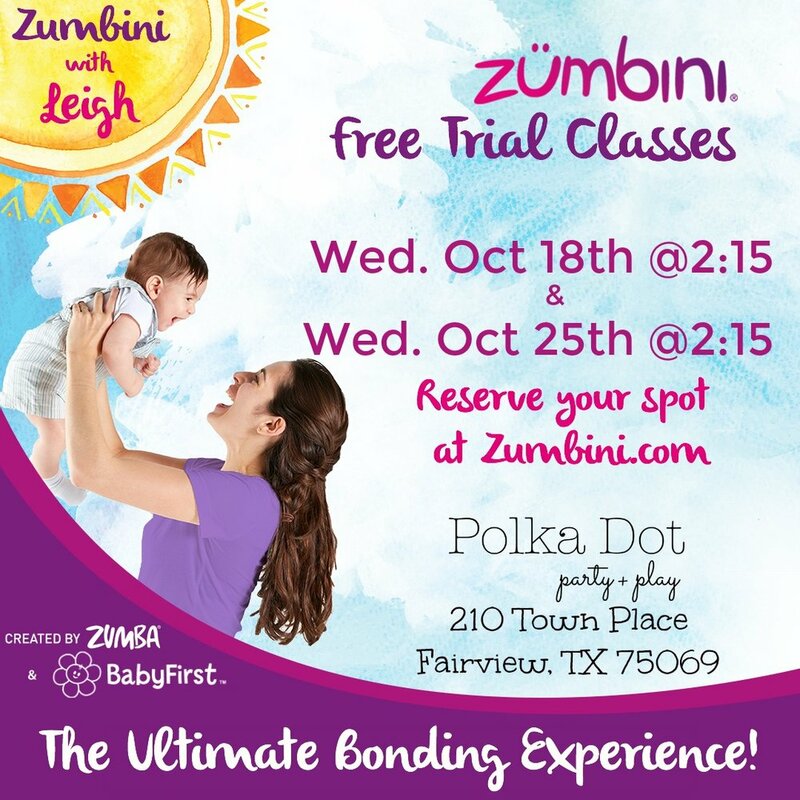 Polka Dot Party + Play welcomes Zumbini Classes! Created by Zumba and BabyFirst for kids ages 0-4, the Zumbini program combines music, dance, and educational tools for 45 minutes of can't-stop, won't-stop bonding, learning, and fun! A Free Demo Class is being offered on Wednesday, October 18, 2017 from 2:15 - 3:00pm. Registration is required at www.zumbini.com.